Tuesday – Saturday, 11:00 A.M. – 6:00 P.M. Admission to DAM is free to the public. 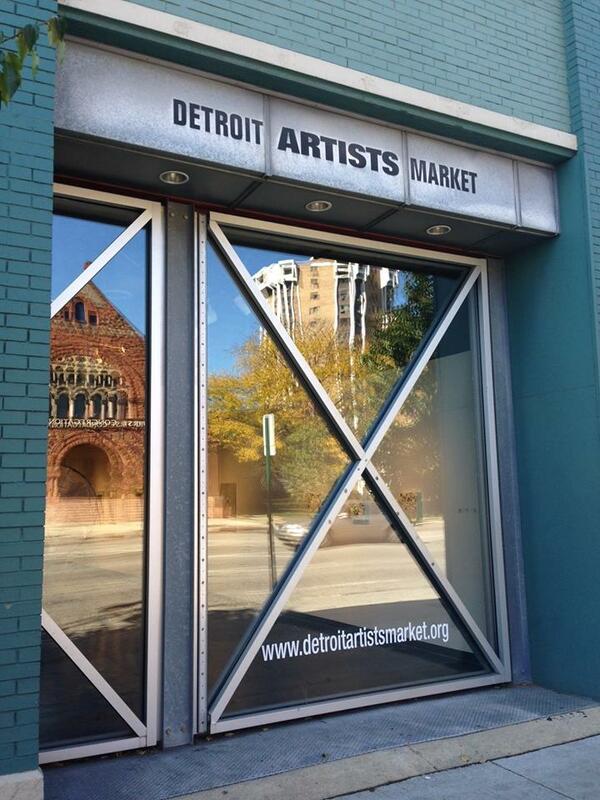 The Detroit Artists Market is in the heart of Detroit’s Midtown neighborhood, one of the fastest growing and culturally dynamic areas of the city. DAM is located on Woodward Avenue – Detroit’s Cultural Corridor – three blocks south of the Detroit Institute of Art. South on I-75. Take the Warren Ave. exit, exit #53A. Turn right onto Warren Ave. Take Warren Ave. to Woodward Ave. Turn left onto Woodward Ave. DAM is located at 4719 Woodward Ave.
Travel I-94 to M-10 South towards Downtown, exit #215A. Take the Forest Ave/Warren Ave. exit, and continue on the John C Lodge Freeway. Turn Left onto Forest Ave. Take Forest Ave. to Woodward Ave.Turn left onto Woodward Ave. DAM is located at 4719 Woodward Ave.
Free parking is available in four parking spaces immediately behind our building. Additional parking is available for $4 in the parking lot behind DAM (enter off Forest). On-street parking is also available.